When considering which option meets your business continuity strategy requires a careful analysis of capital, operating and utility costs along with a risk assessment and opportunity must be thoroughly reviewed with a side by side study. The last few years have significantly challenged managing business continuity issues because of major weather events. On the East Coast Hurricane Sandy and Irene caused damage and high tidal waters that devastated coastal and non-coastal areas. In the Midwest / Ohio Valley severe weather changes, an earth quake in Virginia, tornadoes in Texas and the Great Plains accompanied by severe droughts contributing to forest fires, and early to late season snow storms in many areas have caused significant interruptions to business operations over the past two years alone. When should I look into back up generation? Now, and not after the next incident is the time to look at what impact on your operations might occur should you be affected by the next incident. Many offices and facilities have emergency power supplies, but the majority is designed for life support and safety equipment. Can the emergency power system sustain long duration outages like those caused by recent weather events? If you’re not sure what options exist to protect your business from the ever more frequent long term outages then the following are some options along with their strengths and weaknesses you should consider. Most utility service companies allow a second electric service as a back-up to the primary electric service. A second utility service costs in excess of what is normally provided a customer and must be paid for by the customer. Alternative services come with additional cost in excess of the initial cost of installation. Utilities will likely assess an excess facility charge, reserve capacity charge and other fees associated with the backup service. Additional customer owned equipment will be necessary at the service switch gear to accommodate switching to the backup service imposing additional upfront and maintenance costs to the customer. This option is feasible for some critical operations that are concerned about “routine” outages. However, during weather related events of the magnitude of recent storms there is high probability the second service would also be out of service. For storm mitigation reasons this is not reliable alternative. a customer capable of utilizing both. existing project but will present some installation and design challenges. Cogeneration fuel choices are the same for all systems (see below) and must be considered. 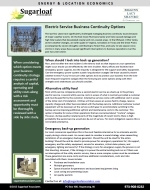 create a situation requiring utility back-up to the cogeneration plant. technical expertise to operate and significant on-going maintenance. replacement, service contracts, and redundant generation capabilities must be considered. 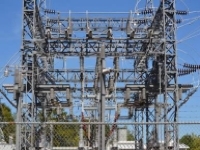 In some areas of the country state regulatory agencies, transmission grid operators and local utilities are considering distributive generation options to enhance local transmission and distribution system reliability in an effort to reduce outage durations. As these programs advance, they offer the opportunity to financially support one or more of the cogeneration options listed above. This option requires significant knowledge of utility rate design, utility policies and interconnection requirements of the utility and other regulatory agencies. In essence you are building a utility grade privately owned electric distribution system within the site perimeter and you’re fully responsible for its operation and maintenance. When considering which option meets your business continuity strategy requires a careful analysis of capital, operating and utility costs along with a risk assessment and opportunity must be thoroughly reviewed with a side by side study. Each site presents its own challenges and opportunities to help mitigate business continuity issues. A detailed review of each facility’s susceptibility to natural and manmade disasters along with the availability of local utility infrastructure options is required to ensure a company meets its’ business continuity strategy in the most cost effective and reliable manner. Sugarloaf Associates, LLC provides comprehensive energy services and procurement strategies, including utility relocation, energy procurement, utility rate tariff and billing issues, green building requirements associated with economic development incentive awards, renewable energy installations, and electric and gas infrastructure assessments with a specialized capability in mission-critical facilities.